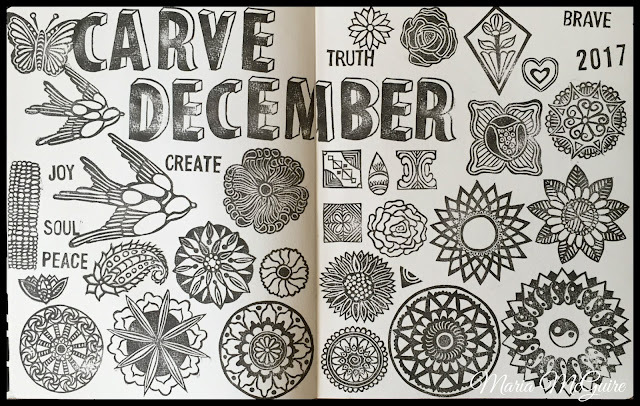 This is the second year I have participated in Carve December, a challenge created by Julie Fei-Fan Balzar. This year, all my designs were literally pulled from art that I had made in 2016. I have to say, I really enjoyed the process and took my time this year. Yes, I use drawing and doodling to relax but I think carving is even a more focused art form. Here is a little look at my stamps. You can see them in more detail on my Instagram account. Thanks Julie! Can't wait until next year!!! 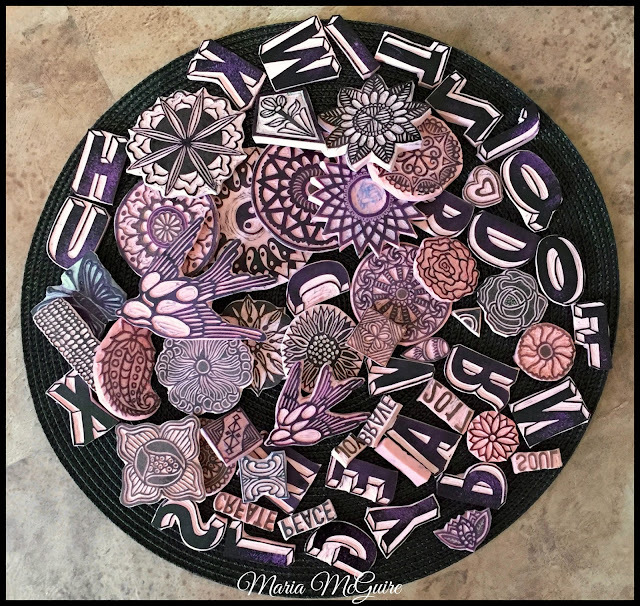 Wow Maria these are all amazing! Love your art. Happy New Year.